In the wake of what looks like a win over SOPA and PIPA, I thought I’d share another kind of online activism — my friend Bill Day’s excellent “Protecting your online privacy” series at our local civil rights blog. Topics so far have ranged from browser security to S-MIME email encryption. Have a look! Bill is an employment lawyer by day and a digital privacy and Internet use activist by night. He’ll be suggesting ways you can enhance your online privacy with email encryption, anonymizing your Internet surfing, best practices, and more. Perhaps even more importantly, he’ll be suggesting *why* you should care about and protect your digital privacy. 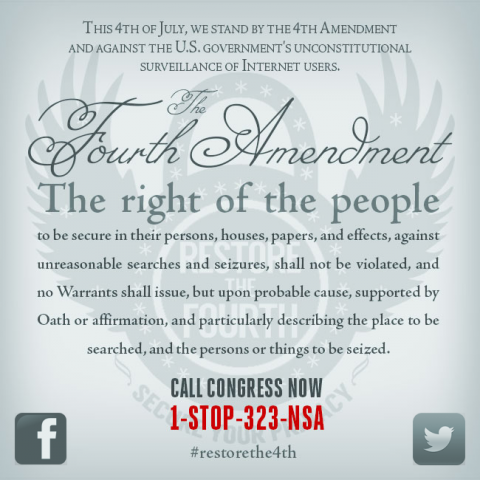 You are currently browsing the Get FISA Right blog archives for January, 2012.